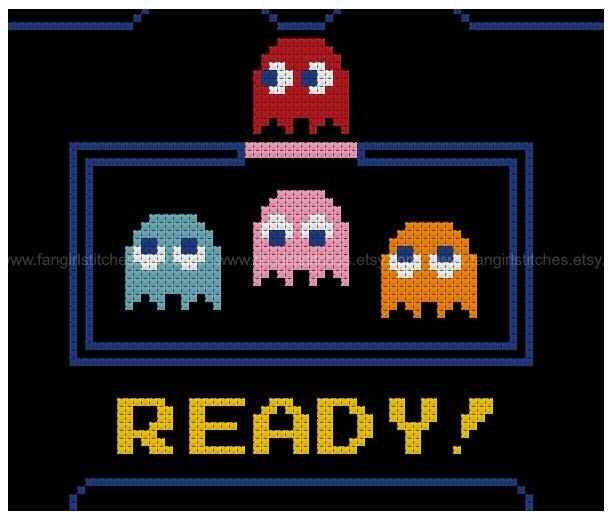 Your favourite 8-bit, ghost chasing, yellow circle is now available in cross stitch! 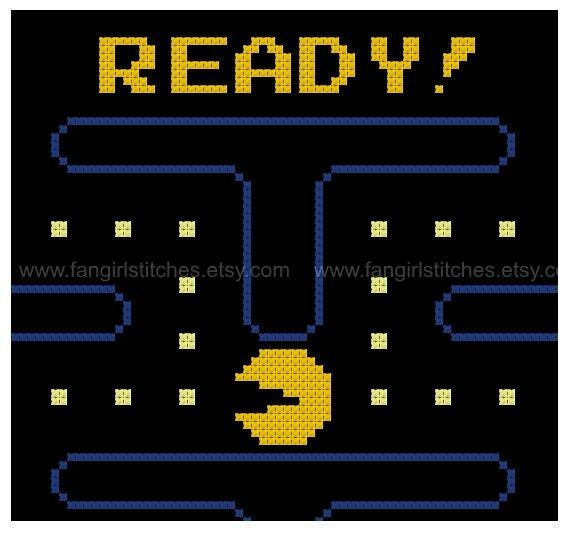 Stitched on black fabric, this cross stitch pattern features the famous opening level "Ready" screen. 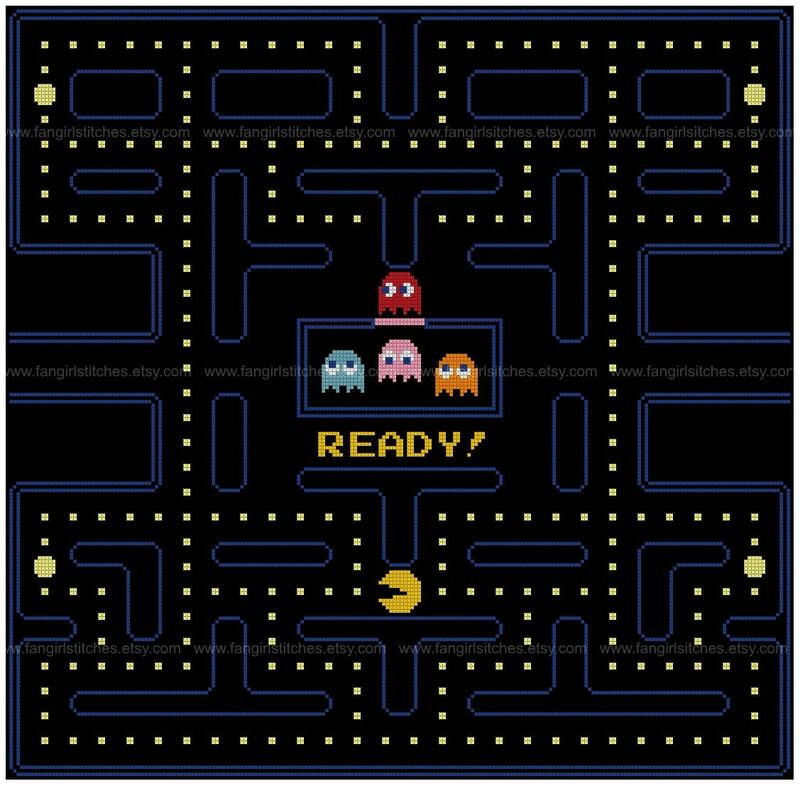 Individualise your pattern by changing the position of Pac-Man and the ghosts, or removing some of the pac-dots/pellets to indicate movement. This design consists of whole stitches only and is suitable for beginners. The pattern comes with a colour chart, including a guide for starting and finishing your project. The main floss key is in DMC and Anchor, although of course you can adapt it to suit your preferred brand of thread, or those left-over threads you have on hand. This is a parody (inspirational) work. Pac-Man is a registered trademarks of BANDAI NAMCO Entertainment Inc. This production is not sponsored, endorsed by or affiliated with WBANDAI NAMCO Entertainment Inc. or any of its subsidiaries or affiliated companies and/or third party licensors. Perfect replica of the first board. Except missing the score board. Love this. Just perfect. Great file. Just as ordered! I love it! Great find. Amazing artist. I will be back.